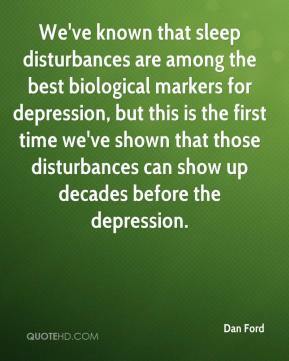 We've known that sleep disturbances are among the best biological markers for depression, but this is the first time we've shown that those disturbances can show up decades before the depression. Not everyone who gets insomnia will eventually get depression. 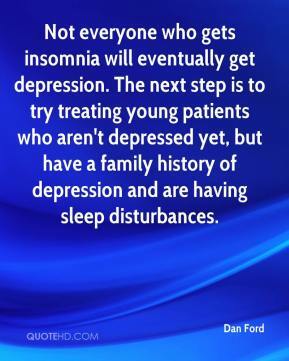 The next step is to try treating young patients who aren't depressed yet, but have a family history of depression and are having sleep disturbances. 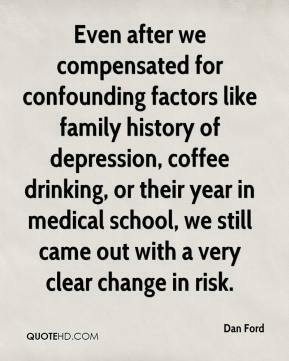 Even after we compensated for confounding factors like family history of depression, coffee drinking, or their year in medical school, we still came out with a very clear change in risk. 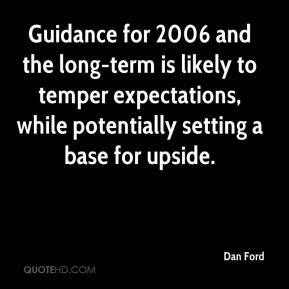 Guidance for 2006 and the long-term is likely to temper expectations, while potentially setting a base for upside.